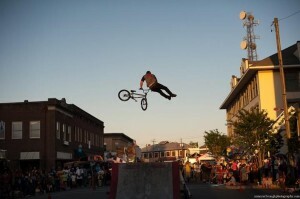 BMX Bikes — Take Flight! The Freestyle Connection BMX team is coming to Medora with their brand of high-flying tricks and stunts that’ll have you on the edge of your seat! It Doesn’t matter if you’re 2 or 92 — you won’t have a better time as you watch these BMX’ers rip it up on the ground (think BMX breakdancing) and soar through the air — all while delivering a positive, uplifting message! These variety acts are going to be amazing — take it from us, you’re going to want to see all three. And we think the best way to do that is with a Medora Musical Season Pass in your back pocket.